Middle East ― orders the execution of an operation decades in the making. Within hours, key elements inside the American and Canadian governments are wiped out. 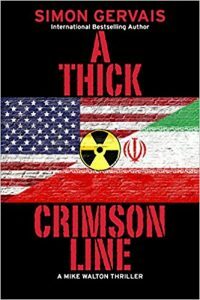 With the stock market in turmoil and evidence showing that the attacks came from within, Mike Walton and his team ― all covert counter-terrorism assets working for the International Market Stabilization Institute ― have seventy-two hours to find the traitors before the White House orders a massive retaliatory strike that would annihilate any chance of peace in the Middle East. From the tourist-filled streets of Athens to the high-rises of New York City, Mike Walton will need to cross the line he swore he’d never go over in order to protect the ones he loves. Never have the stakes been higher or the odds against him been so great. With his sanity on the line,and the lives of thousands resting on his shoulders, Mike will do what he must . . . one bullet at a time.